The Culligan Medallist Series™ Water Softeners are tested and validated by WQA and certified by UL against ANSI/NSF Standard 44 for the effective reduction of calcium and magnesium, along with Barium and Radium 226/228*. Because the ability of the unit to remove Barium and Radium is based upon reducing hardness to less than 1gpg, effective hardness reduction should be periodically verified. Hardness sample kits are available through your local Culligan Dealer. If this is your first experience having soft, conditioned water in your home, you’ll be amazed at the marvelous difference it makes. We promise that you’ll never want to be without it again. Congratulations, too, on selecting one of the "first family” of water conditioners in the prestigious Culligan Medallist Series. With Culligan’s many years of knowledge and experience in water treatment, you can be confident that the model you selected has been designed and engineered to provide years of service with a minimum of care and attention. Some localities have corrosive water. A water softener cannot correct this problem and so its printed warranty disclaims liability for corrosion of plumbing lines, fixtures or appliances. If you suspect corrosion, your Culligan Dealer has equipment to control the problem. 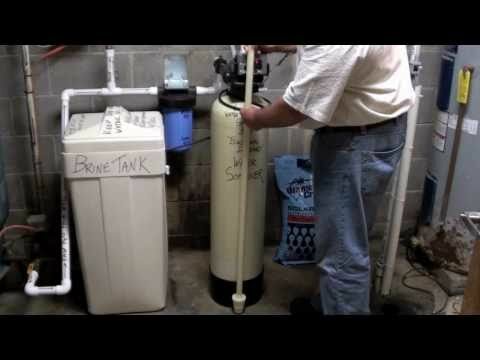 SODIUM INFORMATION: Water softeners using sodium chloride for regeneration add sodium to the water. Persons who are on sodium restricted diets should consider the added sodium as part of their overall sodium intake.